The translations are literally Police Sentai Patrolranger and Pleasure-Thief/Phantom-Thief/Gentleman-Thief (I've seen a variety of translations, but the point is Thief) Sentai Lupinranger. I don't think there's much to assumption necessary given those titles. I'm figuring the title of the show will either be Keisatsu Sentai Patoranger or Patoranger vs. Lupinranger. Probably the former. I'm picturing a pair of two-or-three-member teams who eventually have to team up against an outside foe. I was assuming a three-hero initial team this year after a year of twelve heroes, but five to six across two teams would give us a standard cast size. Say, red, blue, and yellow for the initially heroic team and, I dunno, black, white, and violet for the other. And the unfounded-expectations-based-solely-on-titles machine has officially churned into motion. Cue: inevitable disappointment when the show doesn't resemble anyone's pitch in the slightest. Trying to think what kind of collectable merchandising options we might be seeing based on these names. First thing that jumps to my mind is "Badges." is that too Pokemon-esque? Two sentai teams in one season.... I like it. But I guess it just comes down to execusion. Interesting concept....SPD like? I mean...what ever it was called in Japan. Dekaranger? Sounds cool, I would love to see police esque suits/Zords again in Sentai. Keys, maybe? The Patorangers could use them to lock up criminals and the Lupinrangers use them to unlock vaults and stuff. Although I doubt they'd repeat the gimmick from Gokaiger, I'm betting it'll be something that is used differently by each team. Really excited to see how this turns out. Between this and Kyuuranger, it's really great to see some innovation in sentai. 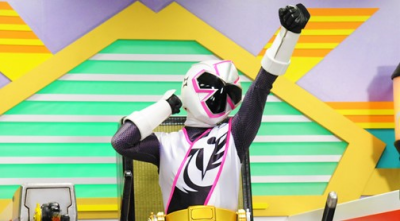 How is the current Sentai show? Seems like there are 12 rangers. Will that be coming to the USA after Ninja Steel wraps up? 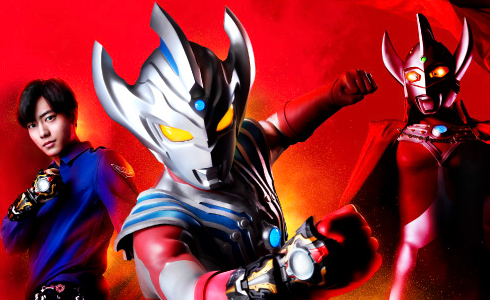 How many seasons of "Ninja Steel" did they have in Japan? Bring back Dekaranger for this, please! So, possibly a set of 2 teams for 1 season? I was thinking the same thing. One of the two must be the titular team while the other serves as the Gouraiger counterpart. I guess after Kyuranger they are content with managing more than 5 or 6 rangers now that they just decided to make two teams instead. Now my question is whether the tsuika senshi of the show will be a third party. Last edited by Sunred; 09-25-2017 at 05:06 PM..
One possibility that could also be a thing would be these being the names of one team. Patoranger by day, Lupinranger by night.